UP TO 20% OFF LAST MINUTE BREAKS! Easter half term is just a week away and we've got a few cottages left, so to help those on the fence we are offering a whopping 20% off stays over half term! 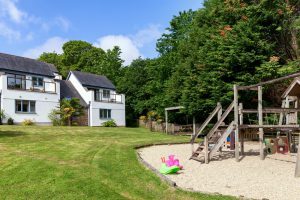 The Valley is a picturesque gated hamlet near Falmouth and Truro, offering you the combination of space and privacy of your own cottage perfectly coupled with all the perks of staying in a great hotel. This tranquil rural location only a few miles from the city of Truro and the bustling port town of Falmouth also provides the ideal base to explore the best of Cornwall, with heritage sites, outdoor activities, and stunning beaches all within a 30 minute drive. 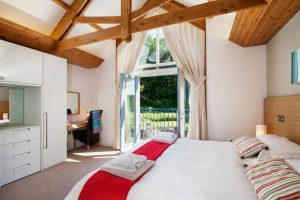 Our attractive range of modern two and three bedroom holiday cottages more than comfortably sleep between two and six people, and a number of these are also dog-friendly. Tastefully decorated, all are fitted with modern kitchens, bespoke Italian designed furniture, original Cornish artwork and are fully equipped with everything you need to relax into your self-catering holiday. The Valley’s exclusive leisure facilities are open all year round and offer the perfect opportunity to unwind and recharge, including indoor and outdoor heated swimming pools, a spa pool, tennis and squash courts and a fitness suite. Our newly re-launched bar and restaurant, Azura, is also open from 30th March ’til the end of October half term and serves locally inspired dishes daily, showcasing the freshest seasonal produce. For the ultimate in relaxed dining, you can also choose to have Azura dishes delivered direct to your cottage to enjoy in total comfort. 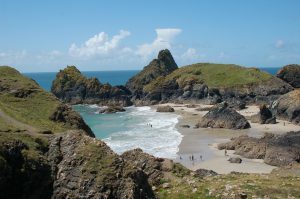 Throughout your stay our friendly and knowledgeable guest services team are here to provide the highest standards of service and can arrange a variety of trips and activities on your behalf, leaving you free to enjoy your perfect holiday in Cornwall. With our indoor and outdoor pools, spa facilities and Azura restaurant, we offer our guests a tranquil location in which to relax and be pampered on holiday. The Valley offers family friendly accommodation and our fully equipped cottages provide everything you need for a family holiday with babies and children of all ages. Cornwall is a fantastic place to come year round and for those looking for a last minute luxury break, you're in luck as we have up to 10% off the whole of March, including Mothers day weekend! "Fantastic break over the festive period with good friends. Really enjoyed taking it easy and eating the wonderful food from the restaurant. Had some great days out, Trelissick, St. Mawes, Cape Cornwall, Minack theatre to name just a few. Great accommodation, great facilities, great holiday!"